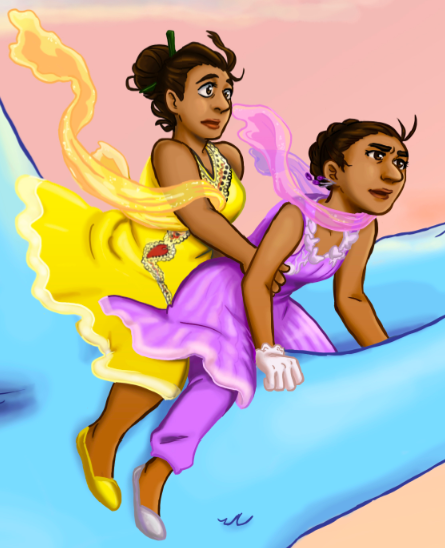 ← How will a lesbian queen and her partner conceive an heir? Canon femslash and worker’s rights! 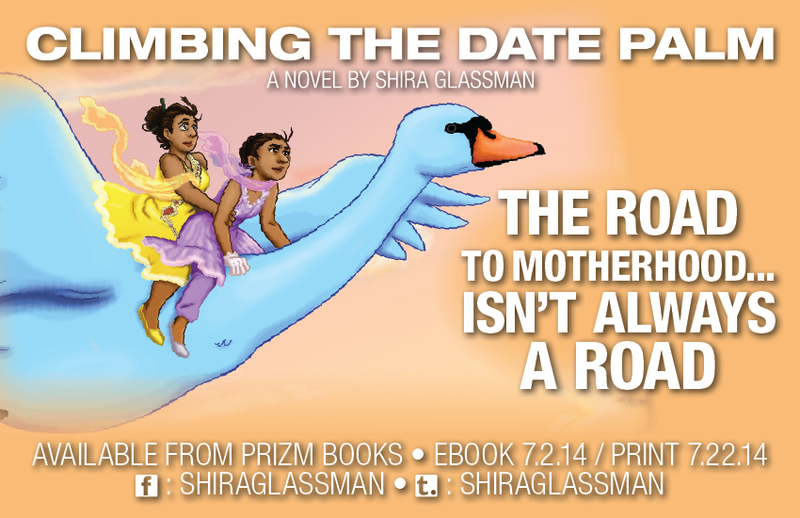 Queen Shulamit and Chef Aviva from The Second Mango are back for another adventure; in Climbing the Date Palm they’re charged with the rescue of a foreign prince’s labor activist boyfriend, while also trying to figure out how to become moms to an heir. Hop on board for shapeshifters, magically-assisted artificial insemination, Jewish holidays being celebrated on-screen, and multiple bisexual characters depicted positively and without destructive tropes. Also available on Amazon (print coming by the end of July!) or from Wild Iris Books. Artwork pictured by Rebecca Schauer. Image | This entry was posted in Mangoverse and tagged Art, aviva, bisexual, books, chef aviva, climbing the date palm, fantasy, fantasy art, femslash, fiction, jewish, lesbian, lgbt, lgbt parenting, lgbtq, mommy, moms, motherhood, novels, queen shulamit, queer, queer lit, reading, shapeshifters, Shira Glassman, shoujo ai, shulamit, swan, the second mango, ttc, women-of-color, young adult. Bookmark the permalink. 2 Responses to Canon femslash and worker’s rights! Hop on board for shapeshifters, magically-assisted artificial insemination, Jewish holidays being celebrated on-screen, and multiple bisexual characters depicted positively and without destructive tropes. Plus, just a plain ol’ good story that’s a lot of fun! That’s what the people who took my recommendation think anyway. I don’t know how you feel about your book being defined as “fun” (although I would say it’s a compliment-so much YA takes itself way too seriously), but here we are. (True fact: I’m still trying to get your book. Mom’s reader is incompatible or something). Anything I can do to help with your own reading experience? The Prizm package should have included Kindle, Nook, pdf, and html formats. Was something missing from your package?